RYE, MARIA SUSAN, social reformer was born on March 31, 1829 in London, England, daughter of Edward Rye, a solicitor, and Maria Tuppen. 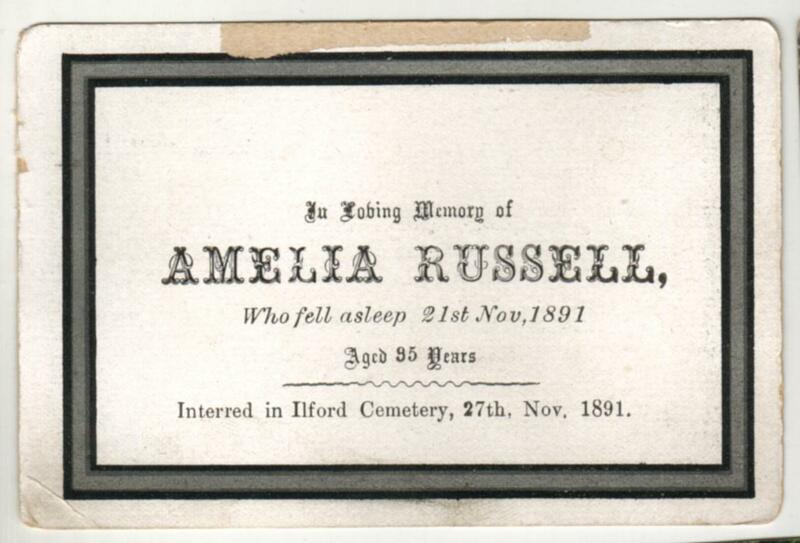 She died unmarried on November 12, 1903 in Hemel Hempstead, England. Maria Susan Rye was a leading figure in the mid-19th-century women’s movement in England, serving from 1855 to 1858 as secretary of the association that promoted the Married Women’s Property Bill and from 1859 as a founding member of the Society for Promoting the Employment of Women. In these years she worked with and for women of her own class. Both in her business as a law stationer, where women were employed as legal copyists, and through related firms, where others were trained as compositors and telegraphists, she strove to break down the regulations and social conventions that kept middleclass women from gaining economic independence. More socially conservative than her colleagues in the employment society, with whom she would part company over the issue of female suffrage, Rye became concerned about the social and moral effects of women’s more prominent role outside the home. Contemporaries linked the predicament of unmarried gentlewomen in Britain to the marriage-market imbalance created by the emigration of more men than women. Rye herself argued that both Britain and the colonies benefited when gentlemen abroad were not obliged to marry beneath them. Between 1861 and 1867, under the auspices of the Female Middle-Class Emigration Society, of which she was honorary secretary, Rye travelled with parties of adult women to the Australian colonies and New Zealand. In 1868 rising costs and adverse Australian publicity caused her to consider ports nearer to Britain, in Canada. Criticism by newspapermen and public officials of the suitability, supervision, and placement of the 200 women she transported up the St Lawrence River later that year led Rye to shift her attention, beginning in 1869, to the rescue of poorhouse and orphaned children, the work for which she is best known in Canada. Between 1869 and 1896 her agency brought 3,623 female children to the dominion, a large proportion of them wards of the English poor-law unions which sponsored their emigration, and placed them from the reception centre Rye operated in a converted court-house and jail at Niagara (Niagara-on-the-Lake), Ont. Rye handled the financial affairs of the home and seems to have travelled to Canada most years, even as she became older. Unlike Annie Macpherson, who also began bringing children to Canada in 1869, and the majority of other British agencies and individuals who together brought perhaps 80,000 girls and boys to Canada over the next 50 years, Rye did not identify with any evangelical Christian group. A devout but traditional Anglican, she kept aloof from low-church enthusiasms. She was foremost a social engineer. In her writing for the National Association for the Promotion of Social Science and in frequent letters to the London Times, she showed a brusque detachment from her young charges and a penchant for the expedient. These tendencies led the senior Canadian emigration agent in Britain, William Dixon, to characterize her in November 1868 as a “passenger agent of the sharpest description.” In a famous broadsheet the following year, George Cruikshank, the illustrator of Dickens, caricatured her shovelling lilliputian youngsters, “like so much guano,” into a giant mud cart. Of the 1,100 girls Rye brought to Canada before 1875, all but 200 were pauper wards of the British state, and she hoped that the Local Government Board would take over the program. This prospect was scotched in 1875 when Andrew Doyle, the board inspector deputed to inquire into the Canadian circumstances of former workhouse children, singled out her placement methods for criticism as unsystematic and inattentive. Yet over the next two decades, with only brief interruptions when the apprehensions of the English Board of Guardians about her work became acute, she regularly brought parties of girls to Canada, protected by a receptive public there and by the interventions of well-placed British allies, including Lord Shaftesbury and the Marquess of Lorne [Campbell*] and his wife, Princess Louise. From 1871 Rye received a civil-list pension of £70. In 1895, by which time Ontario was beginning to examine the regulation of juvenile immigration [see John Joseph Kelso], she transferred her distribution centres at Peckham (London) and Niagara to the Church of England Waifs and Strays Society, and retired with her sister to Hemel Hempstead. Maria S. Rye died of intestinal cancer in 1903 at their residence, Baconsthorpe. Documentation on the career of Maria Susan Rye is provided in the author’s study Labouring children: British immigrant apprentices to Canada, 1869–1924 (London and Montreal, 1980). Two pamphlets published in Canada in defence of Rye’s emigration work have been made available on microfiche by the CIHM and are listed in its Reg. : Charges made against Miss Rye before the Poor Law Board at Islington, and her reply thereto (n.p., ) and Further letters furnished to the Department of Agriculture by Miss Rye, in rebuttal of Mr. Doyle’s report ([Niagara (Niagara-on-the-Lake), Ont. ?, 1875?]). Andrew Doyle’s charges, and Rye’s response to them, were published in pamphlet form and in G.B., Parl., House of Commons papers, 1875, 63, no.9: 255–98, Copy “of a report to the right honourable the president of the Local Government Board, by Andrew Doyle, esquire, local government inspector, as to the emigration of pauper children to Canada”, esp. 277, 284, 286; and 1877, 71, no.392: 19–36, Copy “of letter addressed by Miss Rye to the president of the Local Government Board. . . .” Doyle refuted Rye’s defence in 1877, 71, no.263: 1–18, Copy “of the reply of Mr. Doyle to Miss Rye’s report. 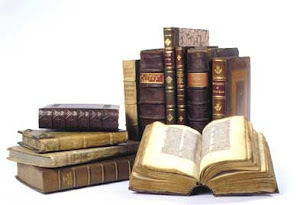 . . .” Canadian listings for the three reports are available in Canadiana, 1867–1900. NA, RG 17, A I, 25, no.2252. Times (London), 22 April 1875. DNB. DNZB. Lee Holcombe, Victorian ladies at work: middle–class working women in England and Wales, 1850–1914 (Newton Abbot, Eng., 1973). Andrew Jones and Leonard Rutman, In the children’s aid: J. J. Kelso and child welfare in Ontario (Toronto, 1981). Ivy Pinchbeck and Margaret Hewitt, Children in English society (2v., London, [1969–73]). Gillian Wagner, Children of the empire (London, 1982). Between 1869 and 1939, about 100,000 child immigrants, casualties of unemployment and poverty in Britain, were uprooted from their homes and families. With hopes of giving them new lives in Canada, British agencies sent children to receiving homes like this one. 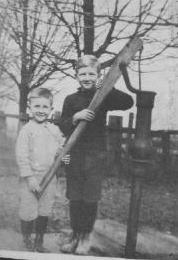 From there, a few of the younger children were adopted into Canadian families, but most were apprenticed as agricultural labourers or domestic servants. Often deprived of education and the comforts of family life, Home Children suffered loneliness and prejudice. Their experience reveals a poignant chapter in Canadian immigration history. Entre 1869 et 1939, le chômage et la pauvreté en Grande-Bretagne arrachèrent environ 100 000 enfants à leur foyer. Dans l’espoir de leur procurer une vie meilleure, des agences britanniques les envoyèrent au Canada dans des hospices comme celui-ci. Par la suite, quelques-uns des plus jeunes furent adoptés, mais la plupart devinrent des ouvriers agricoles ou des domestiques. Souvent privés d’éducation et des joies de la vie familiale, ces petits immigrés subirent les préjugés et connurent la solitude. Leur expérience demeure un témoinage poignant dans l’histoire de l’immigration au Canada. The practice of sending poor or orphaned children to English and later British settler colonies, to help alleviate the shortage of labour, began in 1618, with the rounding-up and transportation of one hundred English vagrant children to the Virginia Colony. In the 18th century labour shortages in the overseas colonies also encouraged the kidnapping of children for work in the Americas, and large numbers of children were forced to migrate, most of them from Scotland. This practice continued until it was exposed in 1757, following a civil action against Aberdeen merchants and magistrates for their involvement in the trade. The Children’s Friend Society was founded in London in 1830 as “The Society for the Suppression of Juvenile Vagrancy through the reformation and emigration of children”. In 1832 the first group of children was sent to the Cape Colony in South Africa and the Swan River Colony in Australia, and in August 1833 230 children were shipped to Toronto and New Brunswick, Canada. The main pioneers of child migration in the nineteenth century were the Scottish Evangelical Christian, Annie MacPherson, her sister Louisa Birt, and Londoner, Maria Rye. Whilst working with poor children in London in the late 1860s MacPherson was appalled by the child slavery of the matchbox industry and resolved to devote her life to these children. In 1870 she bought a large workshop and turned it into the “Home of Industry”, where poor children could work and be fed and educated. She later became convinced that the real solution for these children lay in emigration to a country of opportunity and started an emigration fund. In the first year of the fund’s operation, 500 children, trained in the London homes, were shipped to Canada. 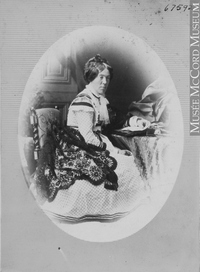 McPherson opened distribution homes in Canada in the towns of Belleville and Galt in Ontario and persuaded her sister, Louisa, to open a third home in the village of Knowlton, seventy miles from Montreal. This was the beginning of a massive operation which sought to find homes and careers for 14,000 of Britain’s needy children. Maria Rye also worked amongst the poor in London and had arrived in Ontario with 68 children (50 of whom were from Liverpool) some months earlier than McPherson, with the blessing of the Archbishop of Canterbury and The Times newspaper. Rye, who had been placing women emigrants in Canada since 1867, opened her home at Niagara-on-the-Lake in 1869, and by the turn of the century had settled some 5,000 children, mostly girls, in Ontario. Because of Miss Rye’s carelessness and Miss MacPherson’s limited resources, thousands of British children, already in painful circumstances, were cast adrift to be overworked or mistreated by the settlers of early Canada who were generally honest but often hard taskmasters. The Canadian House of Commons subsequently set up a select committee to examine Doyle’s findings and there was much controversy generated by his report in Britain, but the schemes continued with some changes and were copied in other countries of the British Empire. In 1909, South African-born Kingsley Fairbridge founded the “Society for the Furtherance of Child Emigration to the Colonies” which was later incorporated as the Child Emigration Society. The purpose of the society, which later became the Fairbridge Foundation, was to educate orphaned and neglected children and train them in farming practices at farm schools located throughout the British Empire. Fairbridge emigrated to Australia in 1912, where his ideas received support and encouragement. According to the British House of Commons Child Migrant’s Trust Report, “it is estimated that some 150,000 children were dispatched over a period of 350 years—the earliest recorded child migrants left Britain for the Virginia Colony in 1618, and the process did not finally end until the late 1960s.” It was widely believed by contemporaries that all of these children were orphans, but it is now known that most had living parents some of whom had no idea of the fate of their children after they were left in care homes, and some led to believe that their children had been adopted somewhere in Britain. Child emigration was largely suspended for economic reasons during the Great Depression of the 1930s but was not completely terminated until the 1970s. 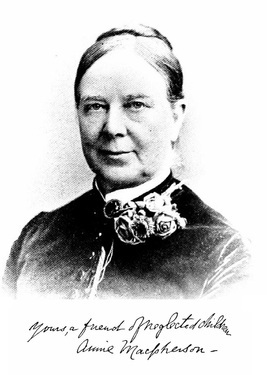 Annie Parlane MacPherson (1833 – November 27, 1904) was a Scottish evangelical Quaker and philanthropist who pioneered child emigration to Canada. She was born in Campsie, by Milton, Stirlingshire, and educated in Glasgow and at the Home and Colonial Training College in Gray’s Inn Road, London. After her father died she moved to Cambridge, but soon after returned to London. Touched by the poverty in the eastend of London in 1868 she opened the Home of Industry at 60 Commercial Road in Spitalfield. The Doyle Report of 1875 into the emigration of children from these homes cast a shadow over the process of exporting children although it acknowledged the benevolent motives of MacPherson and others. Her sister Louisa MacPherson married Charles Henry Birt, and helped her sister in her mission. In 1873 she established a home in Liverpool called The Sheltering Home. As a philanthropist Billa Flint donated lands for churches and schools, and he was an original supporter of social worker Annie Macpherson who in 1869 opened a distributing home, Marchmont, for child emigrants from British cities. Herbert Joseph Russell was born in June 1887 in St. Saviour, Southwark,, Surrey, England and came to Canada as a British Home Child departing from Liverpool on April 10, 1902 and arriving on April 18, 1902 at Halifax Nova Scotia aboard the S.S. Ionian as part of the Rev. Robert Wallace party destination to Belleville, Ontario with 47 children to the Marchmont Home. Gordon Alfred Russell was born at 8:00 am January 2, 1918 at Thorndale, Ontario West Nissouri Twp, Middlesex County, Ontario Delivered by Dr. McFadden at the house on the 3rd Con. Of West Nissouri Township. 1924 – moved to the west side of the 5th Concession at Belton, Ontario also known as Kelly’s Siding. Lived on 2 acres of land with a small barn. They had a horse called Topsy, a Jersey cow, hens and chickens. He and his brother Harold raised either two pigs or a calf and they were theirs to sell. The money was deposited in the Home Bank in Thorndale which went bankrupt in 1927 and they lost most of their money. Their father was a railway sectionmaster based at the Belton Station. He and Harold attended a one room school PS #12 West Nissouri on the 6th Concession. There were between 25 and 28 students. Some classmates, Bill Haves, Winifred and Bruce Patterson, Marion and Eric Facey, Jean and Stuart Elgie, Dorothy Patterson, Harold and Walter Davis, Bill Switzer, Jean, Homer and Hughie McKay, Olive Box, Rea Henderson, and 3 Bannerman children. They attended Wellburn Methodist Church and drove there in a buggy in summer and a cutter in winter. 1927 – His parents bought a piano for him and he took music lessons in Thorndale, seven miles from home, and he had to travel by train on Saturday’s having to buy his own ticket, have lunch with friends, go for his lesson at 1;00PM and then wait for an hour at the station to catch the train home. 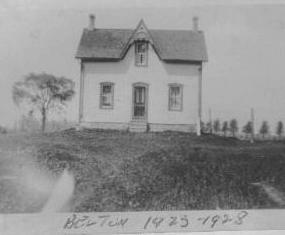 1929 – The family moved to the south side of Hwy #2 near Crumlin. The farm was owned by a Mr. Thompson. He attended Dorchester Public School and the family went to Crumlin United Church. On Saturdays he walk 2 miles to take music lesson at his teacher’s home. 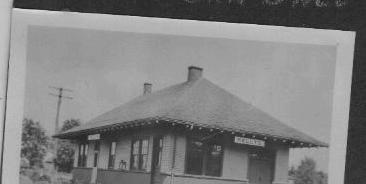 1930 – moved to Thamesford and lived on the first street north of #2 Hwy or Main St. He attended Thamesford Public School and passed his High School entrance exams. During the summer he worked on the farm of Gordon Vinning, The family attended the Thamesford United Church. 1931 – Moved to the corner of the 9th Concession and Hwy #2 and his father worked on the Mercer farm which was just across the road. He attended the two room Thamesford High School until March of 1932 and worked during the summer for Roy Facey. 1933 – moved to 48 Jesmond Ave (Rogers Road and Oakwood Ave) and he spent the summer back in Belton working on the farm of Bob Haves. 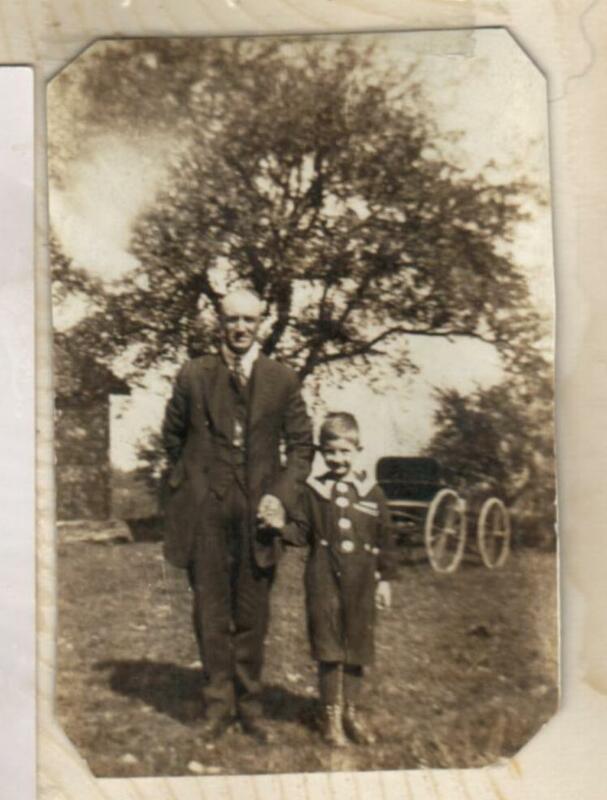 1934 – spent the summer back in Belton working on the farm of Bob Haves. 1936 – In January he started working for D.H. Howden & Co. Ltd. At 1 Church Street, a wholesale hardware company earning $8.00 a week to start. On July 1st long weekend he rode his bicycle to Thamesford and Belton via #5 and #2 highways and returned via #7, #8 and #5 highways. Made trips to Shallow Lake near Owen Sound, to Kingston for a week with Archie Harvey, to Belton, Detroit, Niagara Falls and Grand Bend. 1939 – moved to 138 Woodmount Ave near Danforth and Woodbine and the attended Woodbine Heights United Church and the OWEGOS young peoples group. He went skiing with Lloyd Edhouse to Dagmar and many other places. 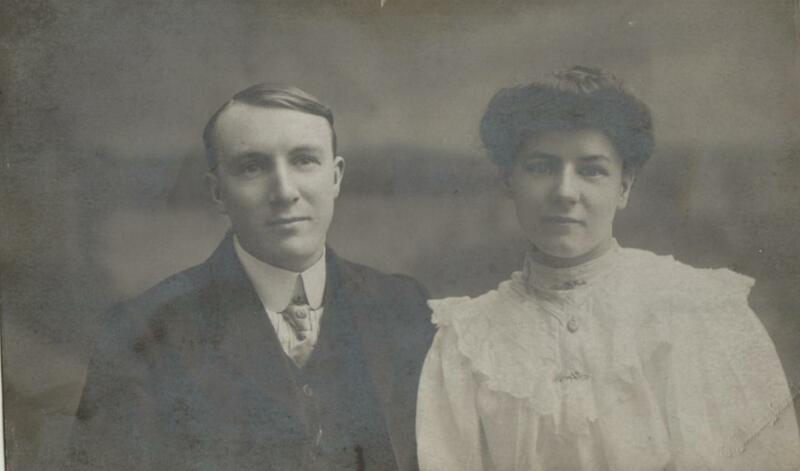 He drove his aunt Hannah to Belleville for Harold and Madelene Seeny’s wedding. 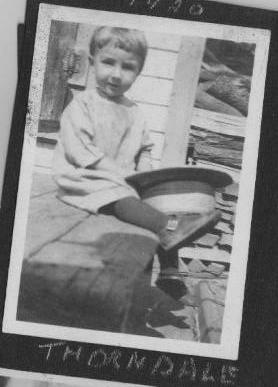 1940 – Met Miriam LePage at the OWEGO class and they made trips to the Orillia Trailer Park, Queenston and Port Credit. He also made a weekend trip to Tobermory with Miriam, her sister Ruth and Elleanor Pritchard. December 28 became engaged to Miriam. Gordon Alfred Russell was born on January 2, 1918 the son of Herbert Joseph Russell and Mary Ellen (Dewhirst) and was baptized on March 28, 1918 at Thorndale Ontario (Middlesex Cty) by Rev. W.R. Osborne. RUSSELL, Herbert – 14 S.S. IONIAN April 18, 1902. This ship left Liverpool April 10 1902 arrived Halifax April 18 1902 crossing the Atlantic Ocean in 7 days …from Manchester and Salford Boys’ and Girls’ Refuges and Children’s Aid Society, Frances Street, Strangeways. Apply to the Hon. Secs., L.K. Shaw and G. R. Kirlew. Sir – I have just returned from placing out our fifty first party of children in Canada and have already entered upon our twenty sixth winter of work among the destitute widows and orphans of Liverpool. Needy boys and girls can be received any day by applying at the Sheltering Home between 10 and 4 o’clock. Our experience this year in Canada is that the good openings for our boys and girls are still very numerous and as Canada seems to entering on a more prosperous season there is likely to be a great demand for our young people next year. So many of the older hands are going off to the new railways in the far west that the farmers in the eastern part of Canada will likely find themselves shorter of help than ever after next spring. The harvest has been abundant and prices are good and so they will be in a position to pay better wages. The outlook here in Lancashire seems sufficiently gloomy and therefore we think that it is a wise thing to assist and encourage the emigration of young people who are willing to go and build homes in the new land under our Queen’s rule. Help them to go while young and they will have fewer bad habits to unlearn and will easily adopt to the ways of a new colony and will, as they grow older, become helpers of others. One of our girls who was brought up by a Canadian farmer and who married his son, has adopted the youngest child we took out this summer having no children of her own. Several other of our boys and girls, now married, have given homes and employment to our younger ones. Many send for a younger brother or sister and find homes for them near themselves.